Sunday afternoon I spent ordering links forgotten in my browser. 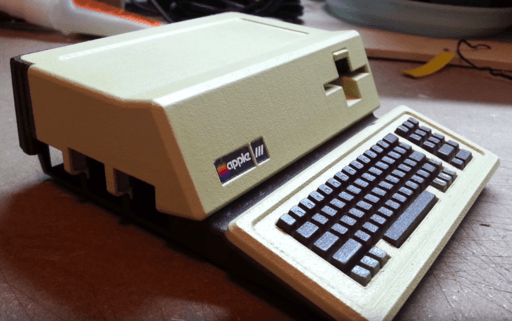 Among them I found this video where a user builds from scratch a replica of a Apple III in miniature. It has no function and is only a shell, but watch the creative process from the first sketches with drawing programs, the 3D model and finally paint the pieces once you've printed in 3D, worth a try. The result is not important, honestly, but the result is amazing.